Turnstones is an elegant Victorian house with every amenity providing first class, comfortable, and relaxing bed and breakfast accommodation, within walking distance of the Olympic sailing site in Portland. The house has been renovated to a very high standard while retaining its historic character. Each double room has a luxurious double bed with crisp white bed linen, and en-suite bathroom, a digital flat screen television, wireless internet and tea and coffee making facilities. There is also private parking. 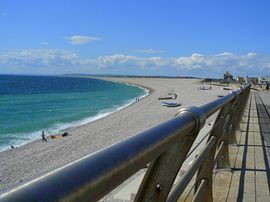 Turnstones overlooks Lyme Bay and is a five minute walk from the magnificent Chesil Beach, a stone's throw from the Olympic sailing site and the National Sailing Academy and a short drive to the Fleet Lagoon or Portland Bill. It's an ideal base for every kind of leisure pursuit from sailing, wind and kite surfing, diving and climbing, to bird watching walking, photography, and painting. 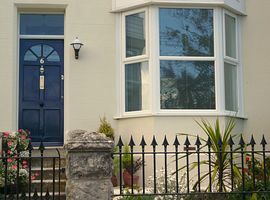 The house is also within easy reach of Abbotsbury, West Bay and Bridport to the West and Weymouth, Dorchester, Poole and Bournemouth to the East. 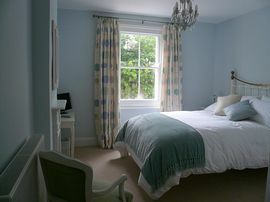 First class accomodation, within walking distance of Olympic sailing site. Quiet, comfortable, and relaxing. That's Turnstones. Follow the A354 from Weymouth to Portland into Fortuneswell, turn left into Ventnor Road. Turnstones is number six, 150 metres on the right. 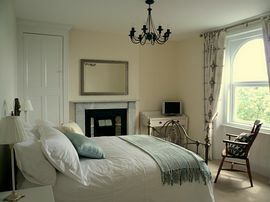 £70.00 per double room including full English breakfast. 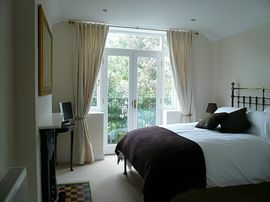 £50.00 single occupancy including full English breakfast.